Creativity Bites Back! : I want a motorcycle! 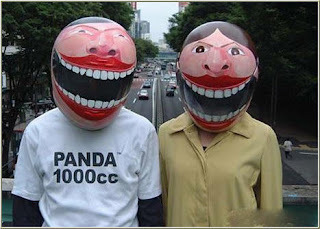 ...well, not really..., but if I had one it would just be to have the excuse to have a helmet like these... what a great idea! Now, this option, I dont think is such a great idea. 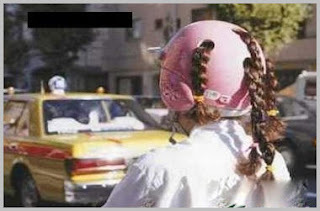 Not only it does not look good but also is probably less secure as a helmet. Ugly ugly, look at THAT helmet!